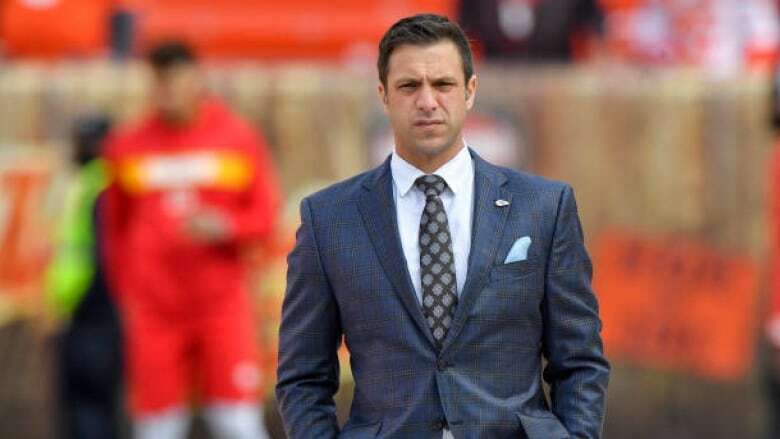 Brett Veach was a surprise choice for the Chiefs general manager position in July 2017. The 40-year-old Veach has helped Kansas City take a stranglehold on the AFC West with successful trades, draft picks, and free agent acquisitions. In a jubilant locker room deep within Arrowhead Stadium, a young man impeccably dressed who looked as if he'd stepped out of a college classroom greeted Chiefs wide receiver Sammy Watkins with a brilliant smile and an enthusiastic high-five. Indeed, when Reid was hired as the Chiefs coach it was with the understanding that he would no longer handle the GM duties that bogged him down in Philadelphia. So, Hunt hired John Dorsey away from the Packers front office, and one of his top lieutenants was one of Reid's proteges from Philly. The moves have paid off in every way possible: Mahomes is off to a record-setting start to his career, the Chiefs created some much-needed salary cap space, Fuller has been their best cornerback and the third-round pick they acquired has turned into more help for their rebuilt defence. "Going back to last year," Hunt said, "I was impressed with the short amount of time that he had to make some changes going into the 2017 season that ultimately really had an impact. That wasn't something I was expecting. And Brett's now had a full off-season, a draft and free agency, and he's made a lot of moves, and I think we're seeing the fruit of his labour this year."